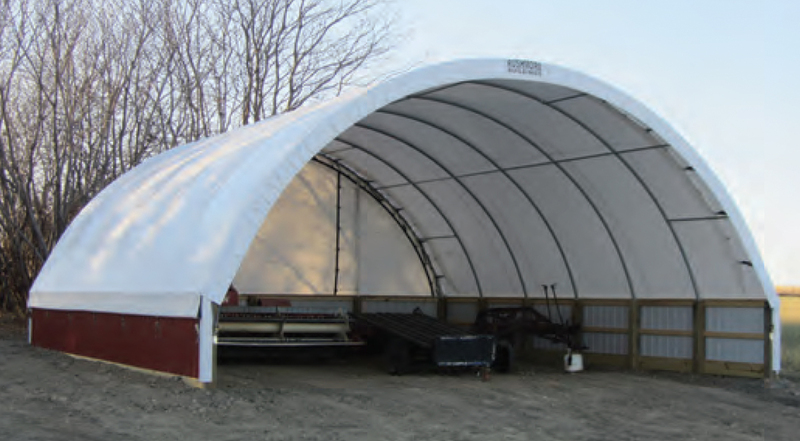 Rushmore Mono-Tube Buildings are constructed from 2 3/8-inch to 3-inch 12-gauge tubing to create a strong, affordable and secure environment. This wall mounted building provides a safe environment for a number of applications including machinery, commodities, and general warehousing. Call us today at 1-866-776-5617 for your free estimate. Replacement covers for all brands available.